The Dev Team has just released PwnageTool 4.2, a untether jailbreak tool for iOS 4.2.1 for iPhone 3G, iPhone 3GS, and iPhone 4 (AT&T and Verizon), as well as the iPad, Apple TV 2G, and iPod Touch 3G and 4G. PwnageTool 4.2 will allow you to untether jailbreak your iPhone on the latest iOS 4.2.1 while preserving its baseband, thus allowing you to unlock with ultrasn0w, assuming you are still on baseband 01.59.00. This step by step guide will show you how to jailbreak your iPhone iOS 4.2.1 using PwnageTool 4.2, a Mac-only jailbreak tool. DjayB6 has just released custom Pwnagetool bundles for iOS 4.3 beta 3 jailbreak on iPhone 4, iPod Touch 4G and Apple TV 2G. Universal Ramdisk Fixer also gets an update to support iOS 4.3 beta 3 build 8F5166B. Although the steps to iOS 4.3 beta 3 jailbreak are almost same as mentioned in this post, but we are re-writing them here just for ease while skipping and removing the unnecessary details. 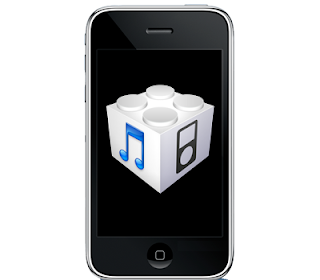 If you rely on an iPhone unlock, don't follow this guide for iOS 4.3 Beta 3 jailbreak. Within 24 hours of iOS 4.3 Beta release, an unofficial PwnageTool bundle is available which can jailbreak iOS 4.3 on iPhone 4. The support to jailbreak other iDevices (iPhone 3GS, iPod Touch 3G/4G and iPad) on iOS 4.3 will be added later. This version of PwnageTool doesn’t preserve the baseband when you cook custom iOS 4.3 firmware with it. 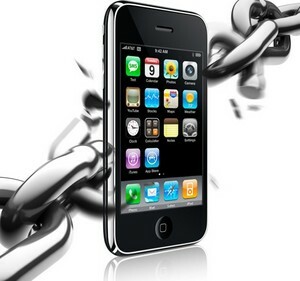 So if you rely on unlock, you should keep yourself away from this jailbreak method. Early this morning, the iPhone Dev Team showed off a quick video demonstration for something called backup plan which doesn't waste exploits but this method requires more time to make it work on all iDevices on iOS 4.2.1.
nitoTV has the credit for the first ever 3rd party app for the jailbroken AppleTV 2G. 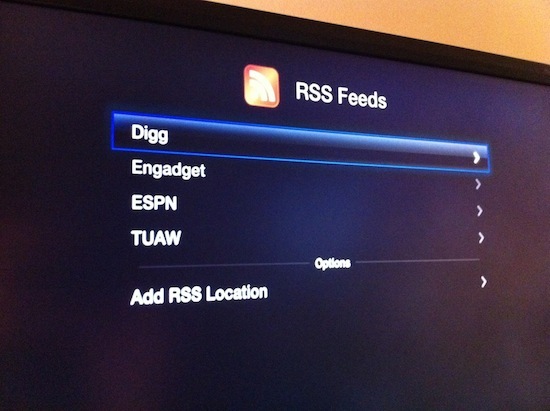 nitoTV launched a new repository from where you can get the first GUI-based AppleTV 2G app which currently provides weather and RSS functions. The Dev Team have just released PwnageTool 4.1 that allows you to update to latest iOS 4.1 firmware while preserving the baseband to unlock their idevices using the Ultrasnow 1.1. If you have already updated to iOS 4.1, then ultrasn0w will not work for you. Those users who have saved the SHSH blobs of iOS 4.0 and later and have upgraded their idevices to iOS 4.1, they can downgrade to iOS 4.0 and then jailbreak and unlock the iOS 4.1. MuscleNerd of the Dev Team is back again with a screenshot of PwnageTool jailbreak for iOS 4.1. PwnageTool supposedly was to be released last Sunday but it has been postponed due to some unknown reason. The Dev Team have once again lived up to our expectations and made a functional jailbreak tool - PwnageTool using Limerain's exploit. Dev Team's member MuscleNerd has uploaded a video preview of their latest jailbreak for iOS 4.1. The video shows an iPad being restored to a pre-jailbroken iOS 3.2.2. PwnageTool is probably going to be released tomorrow. 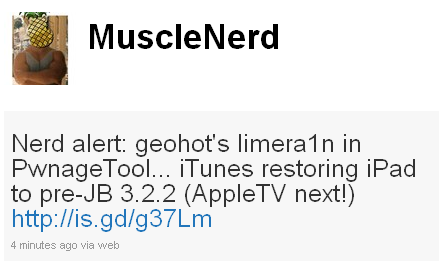 Here is some good news for Mac users, MuscleNerd of the Dev Team has tweeted that the they will be releasing an updated version of the PwnageTool to jailbreak the iOS 4.1 firmware for Mac. Whereas, both Limerain and Greenpois0n are Windows only jailbreak tools.